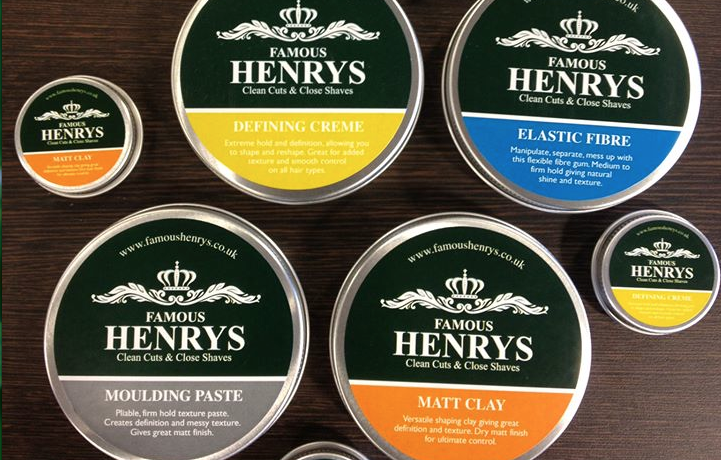 We have created our own unique Famous Henry men’s hair styling products to enable clients to achieve a superior finish with their hair at home. From soft natural hold to more extreme styles. We have a range of products on offer including; Elastic Fibre which helps manipulate, separate and mess up your style, it gives a meduim to firm hold giving natural shine and texture. Matt Clay versatile shaping clay allowing you to create great definition and texture with a dry matt finish for ultimate control. Defining Creme providing extra hold and definition allowing you to reshape and have smooth control. Beard Moisturiser helps cool. refresh and hydrate your skin. It provides excellent antiseptic and stimulating qualities, offering wonderful rejuvenating and regenerative effects on the beard and skin. Ocean Salt Mist help you create a messy, undone look by adding volume and texture with control. It is perfect for thickening fine hair and can used on all hair types.